Mary Beth Ezra | Run S.M.A.R.T. 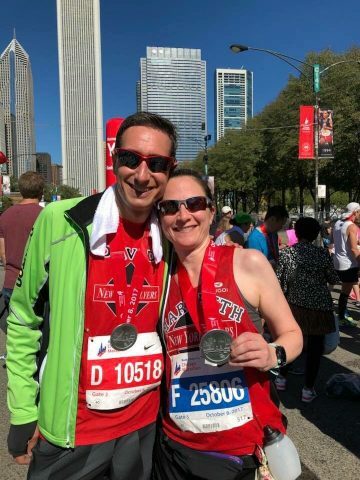 It’s unconfirmed but we’re proclaiming David and Mary Beth Ezra as the most improved couple at the Chicago Marathon 😉 Between their two results they shaved 25-minutes off their personal bests. Mary Beth took home bragging rights with a 14-minute PR. Her official time was 3:41:34. David improved by 11-minutes with an official time of 3:19:16.